The EDER Powerwinch 1200 portable capstan winch is an amazing all rounder. It is light, strong and very good value for money. It has a max rated capacity of 1200kg making it suitable for moving very heavy loads on difficult to reach sites. EDER Powerwinch 1200 + 50m rope. 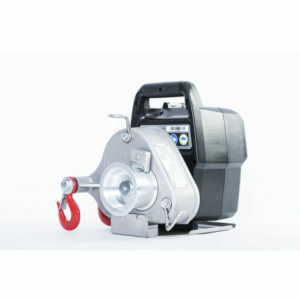 Comes with 2 ton x 2.5 metre round sling and 2 ton bow shackle to secure winch. 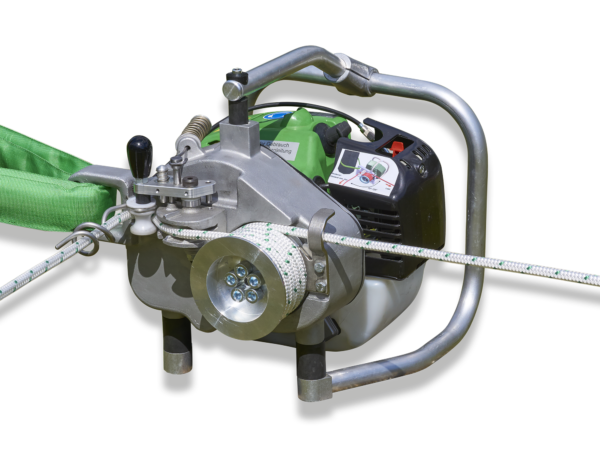 The EDER Powerwinch 1200 portable capstan winch is the all rounder among the EDER Powerwinches. It is characterised by its lightweight, great strength and low price. EDER Powerwinch 1200 portable capstan winch is capable of moving 90 times its own weight and is driven by a powerful 2-stroke engine. It is operated using a lightweight synthetic rope of any length. It can be carried into the most difficult sites and allow timber to be extracted where a larger machine cannot reach. EDER Powerwinch 1200 is powered by a 62cc 2 stroke engine. This means it can run in any position including at steep angles. It uses the same 2-stroke mix as your chainsaw so you only carry one can of fuel into the woods.